Ha! I have trapped you into reading this post but I am not going to say much about the cookies. They are minty and chocolately. They are fudgey. They’re really good and quite easy to make. But actually I am here to announce that we now do social media. Oh yes, we’re a very modern trio. Please “like” us on Facebook here and “follow” us on Instagram @strawberrypepper. We’ll post bonus food pictures and give you a heads up about new recipes. Anyways, enjoy your holidays and these wintery cookies! A batch is being shipped out to Leila at this very moment :). PS- Yes, that’s a picture of unbaked cookies because, um, I may or may not have eaten a few that way. One of my favorite things to do while lounging at my parents’ house in Illinois is to take full advantage of their well-stocked kitchen. Since it’s almost Thanksgiving and pumpkin is one of my favorite ingredients, I set about baking a pumpkin loaf for my parents. If there was ever a sassy cupcake, this would be the one. A dash (well, maybe more) of peppery cayenne, a sprinkle (okay, more than that) of spicy sweet cinnamon and the smoothness of the delectable chocolate. I used your traditional moist and rich chocolate crazy-cake recipe as the base, just adding the cinnamon and cayenne for flavor. It pairs perfectly with the cinnamon buttercream frosting I’ve topped it with. Have you ever had a florentine? 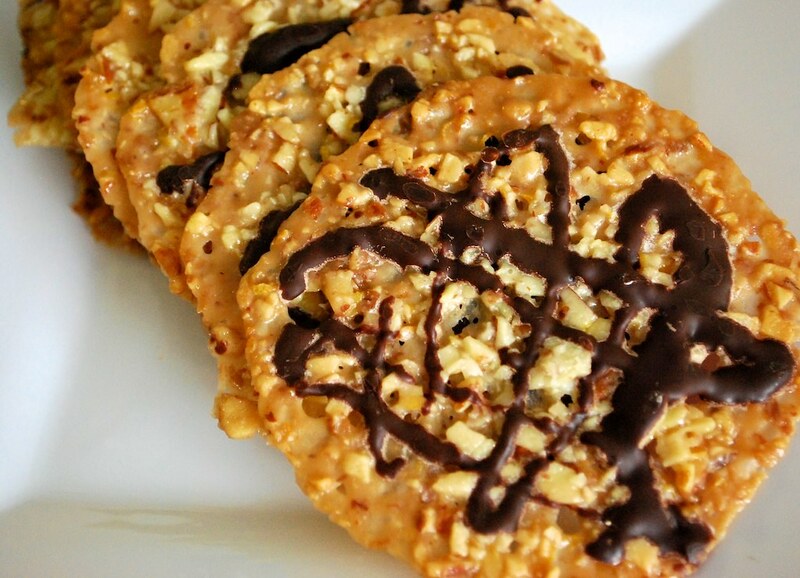 A lacy, crisp little cookie with caramelized sugar, almonds, and a swirl of dark chocolate. 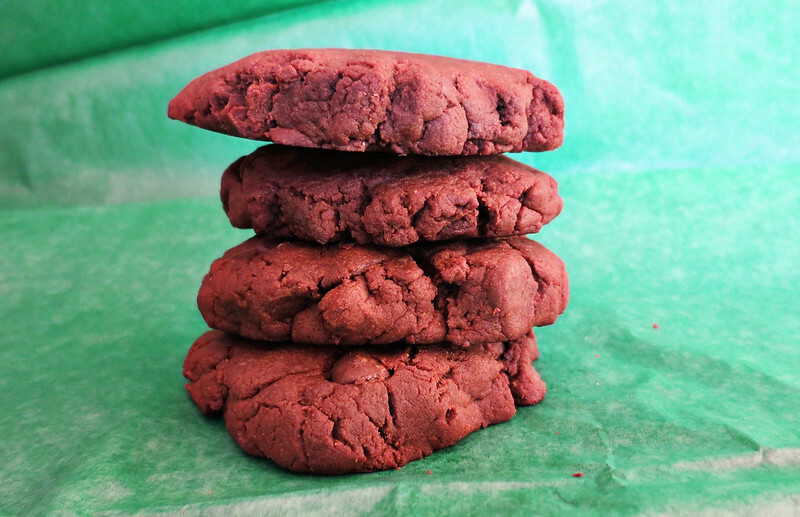 These are one of my husband’s all-time favorite cookies. They sell them in a quaint little bakery in Boston’s Italian North End neighborhood that is both a local favorite and a magnet for tourists. 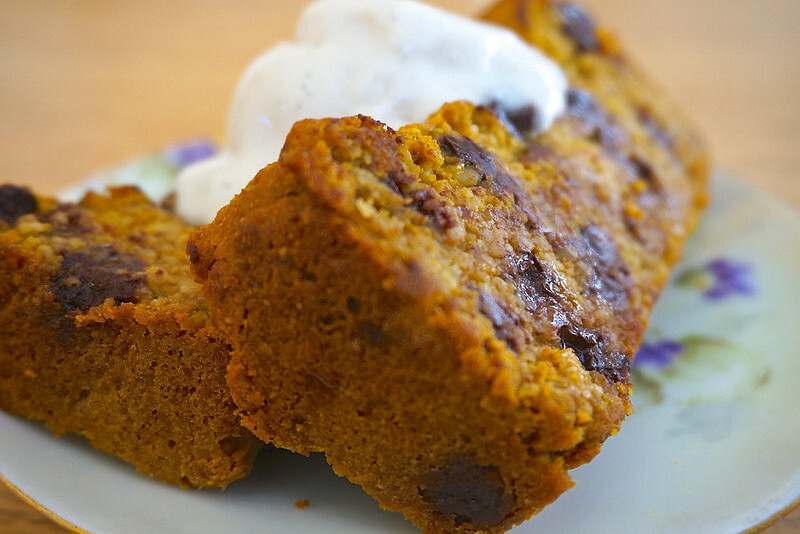 Okay, okay, so you probably already have a favorite banana bread. I know I do. (See Veganomicon p. 228.) But you have room in your repertoire for one more. If you try this recipe, you will understand. 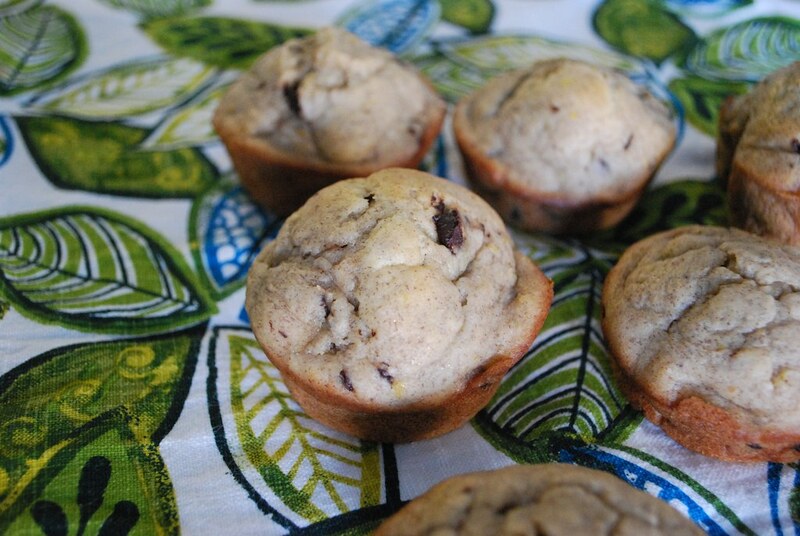 While traditional banana bread is dense and chewy, these muffins are fluffy, tender, and they melt in your mouth a little. Instead of the usual assertive banana bread spice blend, these have a light vanilla scent, a little tang, and a hint of zest. They are hovering dangerously on the border with a cupcake. Muffcake? Cupkin? Whatever, just give me another one! Growing up, marble cakes were my favorite cakes. A special treat, reserved for special events, vacations, and the like. Recently I wanted to eat some marble cake, but wanted to take my childhood favorite to the next level. 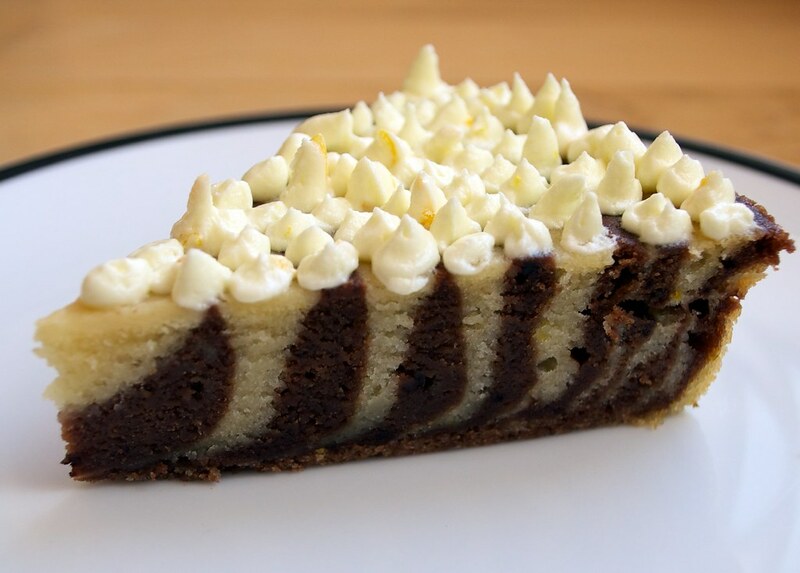 Using an orange scented white cake base and layering with a rich chocolaty batter to make a zebra stripe pattern, then topping it with some orange buttercream frosting, made for the perfect citrusy and rich dessert. 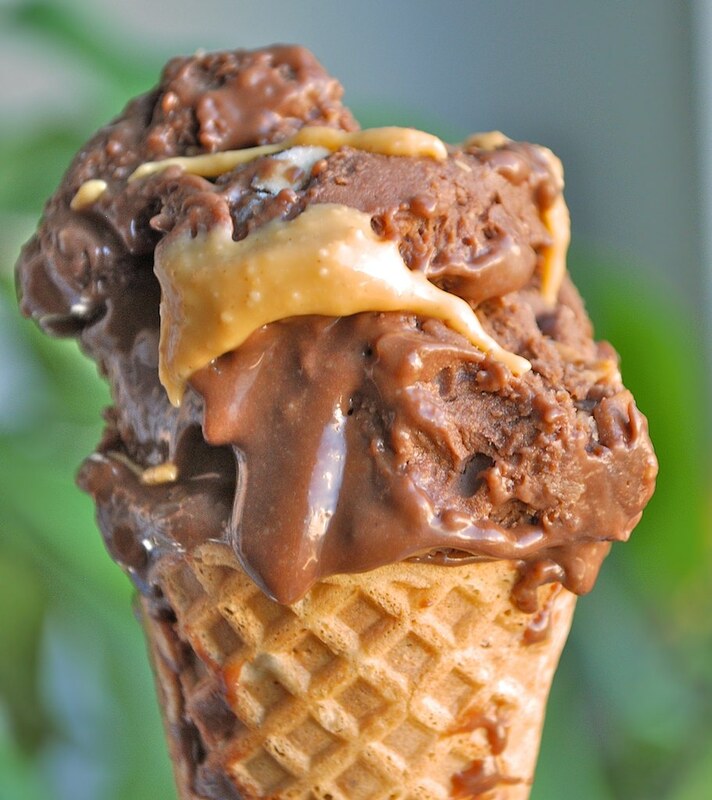 Here is a delightfully decadent ice cream that will make you feel 10 years old again. If you don’t believe me, go ahead and whip up a batch. Put it in a cone and take it outside on a sunny afternoon. The sweet-and-salty magic should transport you, especially if you savor it just long enough that it begins to melt slightly onto your hand.